Now that the 2014 season has wound to a close, our club statistician, Gord Kalisch, has compiled all the results and we have posted an updated list of club records on the results page. Please check out the results and report any errors or omissions. 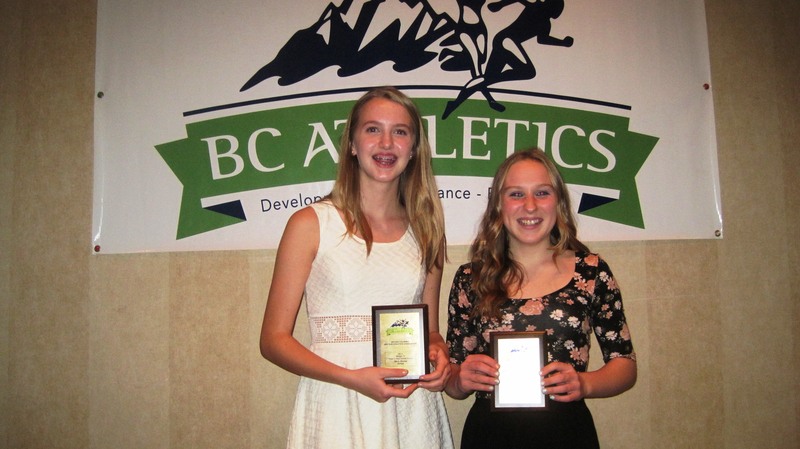 Two Royal City Track and Field Club midget athletes received plaques from BC Athletics on December 6th at the 2014 BC Athletics Annual Awards Banquet for accomplishing the BC Athletics’ Award Standard in their events during the course of the 2014 Track and Field Season. 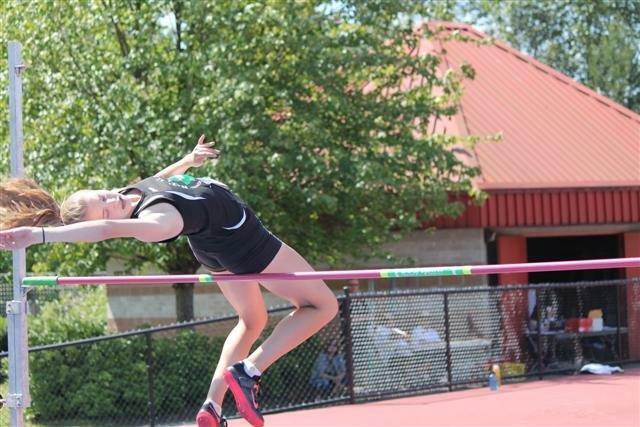 RCTFC’s Devin Strome, 14, was recognized for accomplishing 1.55m in high jump while competing at the Legion Canadian Youth Championships. 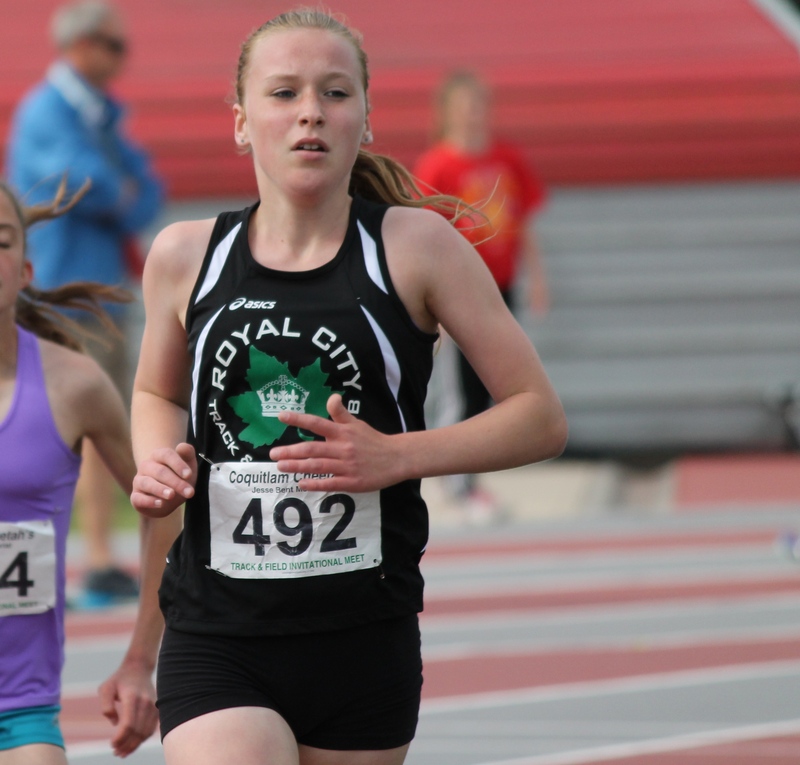 Teammate Grace Fetherstonhaugh, also 14, was awarded for her performances in the 1200m (3:44:77) and 2000m (6:39:04) at the Jesse Bent Memorial Cheetah Meet. Congratulations to Royal City Track and Field Club XC runners Milena Kalisch, 11, Sabine Girt, 12, and Shea Janke, 13, for their determined performances at the end of the season National Cross Country race in Vancouver on Saturday, November 29th. The event which included competitors from all over the province, and potentially, the country, took place alongside the National Cross Country Championships. The trio won gold medals in their respective age-groups for their strong races in very tough wintery conditions!